There's been some delay in getting this post up, but there's a good reason for that. I mean, the same thing happened to my flight...the one that didn't get cancelled, at least. So I got back late and barely got to unpack and missed the first class of the semester, and-- Ack. Let me start from the beginning. 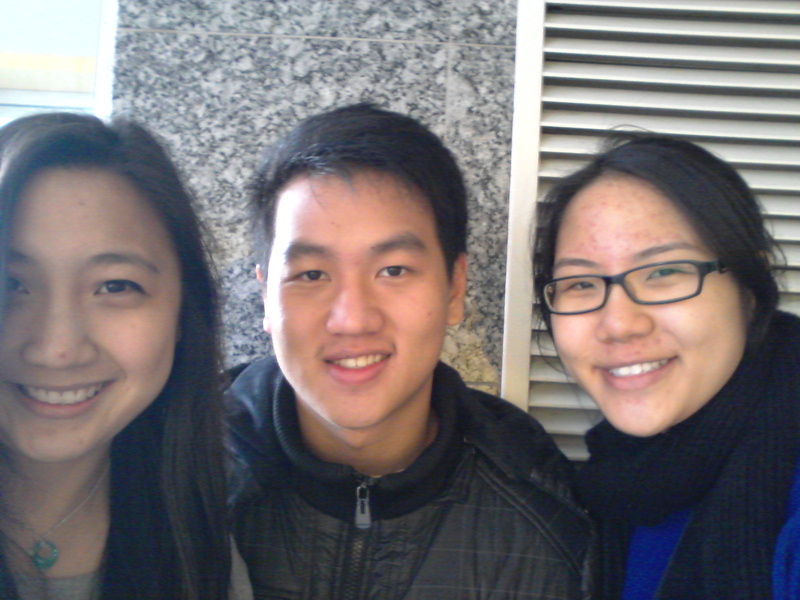 I got up fairly late on the second day (sleeping at 4am does tend to do that to you), had a quick shower, then went to meet Ching and Jeffrey at Melbourne Central. Once we were all there, we took a tram somewhere for brunch/lunch. We were talking non-stop, since I hadn't seen Ching in ages and Jeffrey since primary school, so until now, I actually have no clue where it was we went. Since it was almost noon on a Sunday, everywhere was packed with people, so we just settled down wherever we could find a place to sit. It turned out to be a rather unsatisfactory brunch (two small chunks of meat in my large meat pastry thing, and an overly foamy flat white), but it was the company that mattered, really. Afterwards, Ching played tour guide for a bit despite the fact that it had begun to rain, which was really nice of her. We went by Flinders Street Station and I got a glimpse of Federation Square. 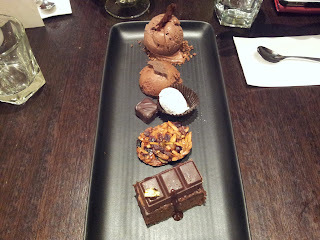 It wasn't really a day for sight-seeing, however, so we made our way to Koko Black on Lygon Street. I have never fancied myself a food photographer. I'd actually requested to go to Max Brenner, but Ching said this was better. I can't confirm this, still having never been to Max Brenner, but wow, Koko Black was one big chocolate overload. I got a chilli hot chocolate and shared a chocolate sampler thing with Ching. The chocolate cake was dry, but the chocolate mousse was really good. It was really slow going, and I couldn't finish my chilli hot chocolate because everything was so rich! Jeffrey got a Belgian iced chocolate and just barely managed to finish it. They walked me back to Ryan's place once we were done, then I had to go pack. The shuttle bus arrived, I said my thanks and farewell to Ryan, and then it was off to the airport. We stopped here and there along the way to pick up other passengers, and I stared out the window all throughout the journey, trying to soak up as much of Melbourne as I could while I was still in the city. Little did I know, I would be spending one more night there. I'm actually laughing at how bad this photo is. We got to domestic departures at Melbourne Airport a little before 5.00pm. Tiger flights depart from Terminal 4, which is a bit of a walk from the domestic departures terminal, and outside at that. By the time I got there, it was 5.00pm, two hours before my flight, which meant the check-in counters were just open. Pleased at the perfect timing, I joined the queue...only to hear an announcement over the PA system that the flight had been cancelled 'due to operational reasons'. If you choose to fly Tiger (which I really do not recommend) and your flight is cancelled, you have the option of either rescheduling your flight or getting a refund. The refund takes about 4-6 weeks to clear. If you choose to reschedule and get the next available flight on the following day, Tiger will reimburse you $120 if you stay at a hotel. This $120 is only for hotel costs -- you cannot claim money for transport or food. There's a form you have to fill in and mail to them along with the invoice from the hotel. I think this takes 4-6 weeks to clear as well. There is a hotel fairly near Melbourne Airport called Quality Hotel. They have rooms from $129 a night and provide a free shuttle bus to and from the airport 24/7. I got given a double room, which was pretty nice and spacious. Complimentary tea and coffee, and there's shampoo and soap in the bathroom, but you have to ask reception for a toothbrush and toothpaste. Other things you can ask reception for: universal plug adaptors, wake up calls, scheduling a shuttle bus to the airport. At 4:00am the next morning, I dragged myself out of bed and got cleaned up before taking the 4:30am shuttle bus to the airport. I was there a little before 5.00am and checked in right when the counters opened. As it turned out, there was no need to have been there so early because my flight (though I don't think it was ever officially announced) was delayed. 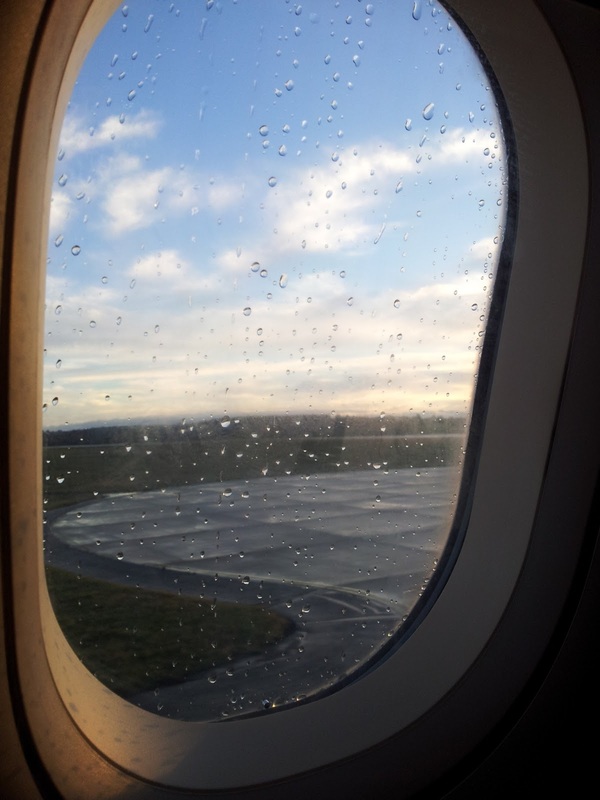 It was supposed to be at 7.00am, but at three minutes to, we were still waiting for the call to board. We finally departed at 8.00am, and I ended up missing my first class of the semester which was at 9.00am. Something I noticed was that in Terminal 4 (the one Tiger has all to itself), the PA system was almost constantly in use, announcing flight cancellations, flight delays, and paging for passengers. Maybe that's why Tiger got its own terminal, I thought. The main terminal got sick of it hogging the PA system all the time. I actually found out about the hotel with the free shuttle bus while chatting to a nice, little, old lady whose flight to Cairns got delayed (serendipity at its best!). Anyway, needless to say, I will not be flying Tiger again if I can help it. It was a great trip overall, though, and I'm very glad to have been able to have gone. Muchos gracias to everyone who made my time in Melbourne awesome! 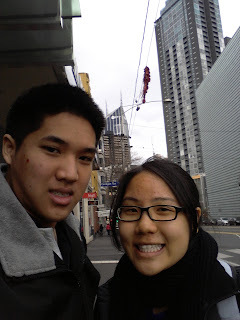 I'll definitely be back one day, whether with friends or family; Melbourne's a great city, and I can't wait to return. See you again, trams, buskers, and laneway cafes! I've heard so many horror stories about Tiger :\ My local friends told me to stick to Virgin Blue/Jetstar(which is also notorious for having delayed flights, but not as bad as Tiger apparently). How much are Tiger's flights though? That is true. Virgin is pretty pricey, tho, so I think I'm personally sticking to Jetstar. Tiger wasn't even that much cheaper than Jetstar when I booked my ticket! $80-something, but that also included 15kg check-in luggage.